Regardless of your skin type or condition, a customized facial will address your skin concerns. We offer beautifully relaxing and pampering facials that includes a Premier Skin Analysis that will assess your skin type and determine which Facial is most beneficial for you. A treatment plan along with state of the art educational techniques to build healthy skin care habits will be customized for you by our professionally trained Aestheticians to address your unique skin condition and designed to work around your lifestyle. Start your skin maintenance program now and age later! Choose your Facial Experience Today….! This refreshing facial is great for all skin types and provides deep cleansing benefits. 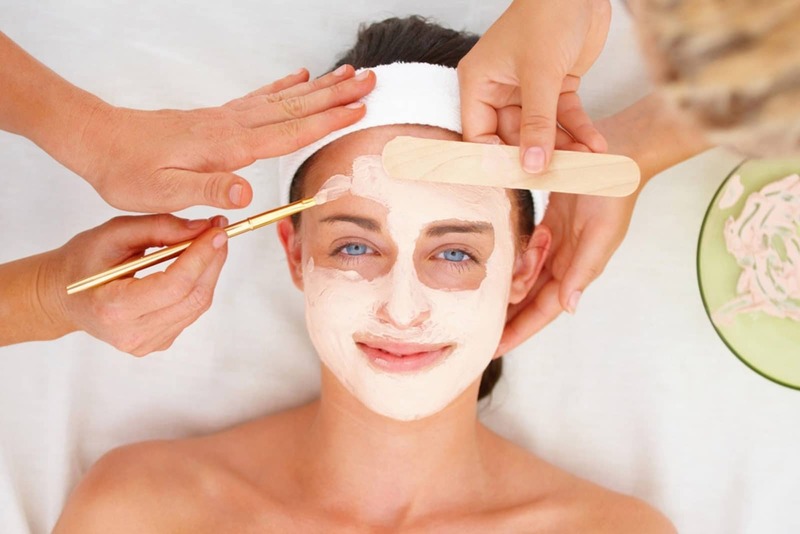 This amazing facial includes: Skin Analysis, cleansing treatment , exfoliation to rid skin of dead cell build-up, steam, therapeutic massage, extractions where needed to remove black heads trapped in the pores, treatment serums customized specifically for your skin needs, a finishing mask that provides nourishing, hydrating and soothing benefits, moisturizer and sun protection. A relaxing facial treatment customize for a man’s special needs. 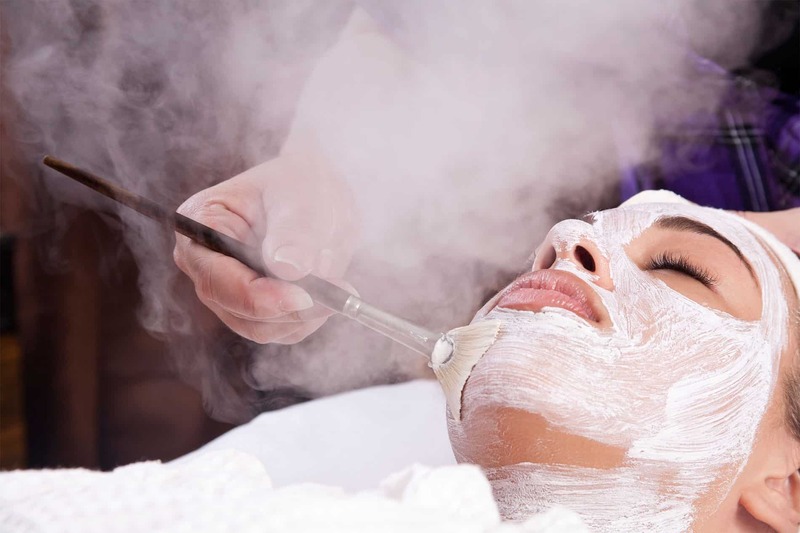 This treatment will address sensitive areas caused by environmental damage and soothe razor-burned skin. Provides deep pore cleansing benefits with exfoliation, mask and toning. A light moisturizer and sunscreen will follow leaving your skin hydrated, refreshed, revitalized and never sticky. Lighten, brighten and illuminate the delicate eye area with this luxurious ultra-hydrating eye treatment. Helps to significantly reduce the visible signs of sleep deprivation, environmental damage, dark circles, loss of radiance, puffiness, lax skin and aging eyes. Plant stem cells prevent aging while protecting skin’s own stem cells and power peptides reduce wrinkles due to facial expressions as well as relaxes crow’s feet. Phytonutrients, peptides and innovative lightening agents help to restore a vibrant, youthful appearance. Eyes instantly look firmer, brighter and more radiant. Treat yourself to this Hydrating Antioxidant Pumpkin facial. Pumpkin is rich in Vitamins A and C, pumpkin will help soothe and soften skin as well as repair free radical and environmental damage. Pumpkin also contains various beneficial enzymes and alpha hydroxy acids , therefore, aiding in removing surface dead skin cells and increases cell turnover leaving skin nourished, smoother and brighter. Nourish your skin with this oxygen-enriched anti-aging, luxurious spa treatment. This treatment delivers immediate results using oxygen, plant-derived stem cells, peptides and specially concentrated enzymatic botanicals. Powerful yet gentle, lifts, hydrates, sends energy to the cells, provides antioxidant protection, brightens the skin tone and promotes tissue regeneration. Leaving the skin glowing and lifted with a more radiant and luminous look. This facial treatment will gently lift discoloration and pigmentation on contact. Lightens, brightens and corrects all forms of pigmentation and discoloration. Your skin will be infused with nutrients. Free radical damage will be repaired with antioxidants leaving the skin more even toned, hydrated, stronger, illuminated and instantly younger looking. This revolutionary exfoliating & deep cleansing treatment is blended with a combination of fruit enzymes, antioxidants, plant extracts, hydrating agents and nutrients leaving the PH of your skin well balanced. If you are new to facials this would be a great introduction to professional grade skin care and/or for those clients with sensitive skin. Rejuvenates and repairs aging and pigmentation concerns. This treatment penetrates into the skin to produce significant results. You will notice improvement in skin texture and tone revealing healthier skin. This treatment can provide noticeable results after one treatment. This amazing facial will instantly brighten, tighten and hydrate your complexion, protect your skin from sun-damage and environmental stress. Your skin will be infused with nutrients and antioxidants to help strengthen your skin. Vitamin C, alpha and beta hydroxy acids, provide gentle yet powerful and effective exfoliation with enzymes that speed up cellular turnover leaving skin feeling fresh, smooth, healthier more radiant with a beautiful glow. This ultra-firming neck and décolletage lifting Treatment targets sagging and lax skin, deep creases, wrinkles and fine lines. Contains the maximum concentration of innovative peptides combined with plant-derived stem cell technology that helps increase elasticity, brightens, tightens and defines the neck and jawline. Look younger longer! The microcurrent facial is a safe and painless therapeutic treatment that delivers low-level electrical impulses to strategic locations under the skin to firm and tone the facial muscles on both an immediate and long-term basis. Low current benefits have shown to: Increase circulation for skin health, Increase Collagen and Elastin. Repairs collagen in the dermis (the deepest layer of the skin), while gently erasing signs of aging in the epidermis (the top layer of skin). Aids in minimizing the appearance of fine lines and wrinkles, Tones and tightens the Skin and Enhances products with deeper penetration. Microcurrent works in harmony with the natural bio-electrical currents naturally found in our bodies to help speed up the cellular regenerative process resulting in firmer, healthier, more youthful looking skin. An ultrasonic facial consists of a high level sound wave technology which penetrates deep below the surface of the skin promoting cellular turnover, renewal and repair, cleanses away toxins, increases blood circulation, encourages lymphatic drainage, toning muscles, tightens sagging skin, plumps and smooths out fine lines and wrinkles, combats swelling and puffiness, lightens dark under eye circles, enhances skin care product penetration and more….the process is safe, painless and gentle and may be used by sensitive skin types such as those with Rosacea. The ultimate in grooming! A customized, relaxing and exfoliating back facial that leaves the skin deliciously smooth. Scrubs away rough-dry skin and refines pores leaving a more energized, vibrant and glowing you. Prevention is better than repair and can be the key to good and healthy skin. Start now by having your skin deep-cleaned and treated on a regular basis. We teach our younger guests educational techniques to build healthy skin care habits. Polishes the skin while dramatically improving the appearance of pores, breakouts and dark spots. Extended Deluxe Luxury Treatment…includes one complimentary boost. Powerful plant derived stem cells work to extend cell life, slow aging process and reduce inflammation. Botanical blend of long and short chains of hyaluronic acid to immediately hydrate and plump skin. More than 15 powerful anti-oxidants work in synergy to protect the skin against oxidative stress and free radical damage. Natural vitamin A derivative, increases cell turn over, cellular renewal and stimulates collagen synthesis. A blend of stable water and oil soluble form of vitamin C. Provides potent antioxidant protection, lighten pigmentation and stimulates collagen synthesis. Skin lightener/brightener. Treats all forms of pigmentation including sun spots, melasma, and post-inflammatory pigmentation. Treat yourself to this Hydrating Antioxidant Pumpkin facial. Pumpkin is rich in Vitamins A and C, pumpkin will help soothe and soften skin as well as repair free radical and environmental damage. Pumpkin also contains various beneficial enzymes and alpha hydroxyl acids , therefore, aiding in removing surface dead skin cells and increases cell turnover leaving skin nourished, smoother and brighter.